Yesterday at 1DevDayDetroit, Virender Ajmani gave a very interesting talk about Google Map mashups. (If you missed his talk, check out his blog or download his slides. Besides his very interesting content, he mentioned something that else that caught my attention - the Google Qualified Developer program. It's a different approach to the question of developer certification (which I know is a hot topic in the Agile world in general and at the Agile Skills Project in particular). Google's program is free, and it focuses on accomplishments, references, community participation, and knowledge. 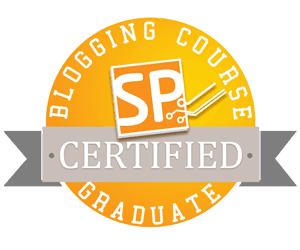 If you become certified, you get a badge for your blog. What I like about this approach is that no one type of mastery is enough to earn certification. For instance, a developer who aces the exam can not be certified without other evidence of their competence. I wonder what an Agile badge in this style would be like. There are already Scrum exams. Perhaps taking one of them would earn some points. There would be a cap on how many points could be earned through exams, and exam points might expire after a certain time. I'm not sure how working code is necessarily any indication of someone's skill in Agile, so I think we'd have to come up with something else. Attending certain classes might be worth points. I know there's been a lot of talk about how taking a class doesn't necessarily mean a person learned anything, and I agree. So perhaps any given class would be only worth a small amount, say 200-300 points, and it would only count if you had taken the course in the past year, and only 1000 points could be earned by attending classes. Certainly some Agile developers could provide references from customers, and capping the number of points from references would reduce the chance and affect of quid pro quo referrals. Developers who don't have professional references could earn their points in some of the other ways. And maybe book quests or webinar quests could provide a few points, perhaps with a fairly low cap. I know there's a non-trivial amount of administration that would be required to manage a program like this. Please join the discussion on the Agile Skills Project Google Group. So whatever your view about the value of certification, it's happening. As for me, I'm not a CSM, so I won't be applying for a CSD any time soon. Thoughts on my experiences at the second Scrum Alliance CSD course. Dave Nicolette recently blogged about how he has joined the ranks of the Certified Scrum Developers, by being a CSM and completing the Scrum Alliance CSD course taught in Cleveland by Ron Jeffries and Chet Hendrickson. I took the same course one week later in Ann Arbor. Unlike Dave, I'm not a CSM yet, so I don't qualify as a Certified Scrum Developer - I'm not going to weigh in on the pros and cons of "certification". Even though the CSM was offered the two days immediately before the CSD course, I chose to only take the CSD course right now. My current focus is on improving my development skills, and the CSD course fits right in with that. It was a great opportunity to practice TDD, Pair Programming, and Scrum under Ron and Chet's observing eyes. Unlike the Cleveland class, the Ann Arbor only had a few "known" participants. Present were Rich Garzaniti, a long-time eXtreme Programmer and member of the Chrysler Comprehensive Compensation project (C3) and Nayan Hajratwala, agile and lean coach and speaker. Dianne Marsh, co-founder of SRT Solutions, was also present, although she does not specifically focus her work on agile. The rest of us are seasoned developers with agile experience that ranged from never having done TDD to actively learning TDD outside of work and in the early stages of trying to introduce small agile practices into their workplace. I'm a long-time developer, involved in the Agile Skills Project, a rabid Code Retreat attendee, but I have little agile experience on the job. Like the Cleveland class, we had difficulty with infrastructure that held us back, and as Dave said, that's not unexpected. Still, one team spent basically an entire 4-hour iteration (the course only scheduled 3 iterations in all) on infrastructure problems. The team I was on only spent half of an iteration on infrastructure problems (Without Nayan's familiarity with Maven, Hudson, Eclipse, and FitNesse, I suspect it would have also taken us a whole iteration too). In our class retrospective, we decided that there was some merit in having infrastructure issues as part of the class, as it gives a taste of what it really takes to set up tools for an agile project. We also decided that whatever steps are taken to reduce such issues, there will always be some, and they may provide enough learning. Lots of time with Ron & Chet as POs. While we certainly were not immune from making assumptions about stories, we did ask a lot of questions about the cards during our planning meetings. When the Ron or Chet gave high priority to stories that we thought would take a lot of time, we suggested other stories that we thought would generate some value more quickly or we requested that some stories be split. We were conservative with our commitments. Additionally, I think the goals the Ann Arbor participants had for the class were well suited to creating "done" stories. While I think Rich and Nayan wanted to refine their already strong agile craft, the rest of us seemed to be experienced developers who either want to become agile or to become more agile. While Nayan seemed to play a dual role as contributing developer and coach on my team, I think we all took responsibility for delivering quality results and improving our process. All of that is not to say that we didn't have our share of problems. We realized late in the course that we would have saved some time talking in circles if we had drawn simple design ideas on a white board. Additionally, my team might have been able to show more value to the POs if we had implemented fewer file operations and left IO as an abstraction. In our code review, our team found some early design decisions that would have caused difficulties later, were we to have continued developing the product. There's an old saw that says we learn more from failure than we do from success. That feels true for me regarding this course. I'm struggling to find any real "gems" of learning. For me, the biggest benefit of the course was the practicing - practicing technical tasks and practicing improving our process. Since I don't pair at my current job, the course gave me a good chance to look at how I pair and think about ways that I can be a better pair. And I did learn to use FitNesse and Hudson, which I had not used before. And finally, I left the class with a renewed hope for our profession and my career. Being in a class of developers who seem really committed to delivering value and improving their craft was tonic for the pain and exasperation that I've experienced in past projects that had all the classic failures. As I mentioned in my last post, I recently returned from CodeMash 2010, where I attended two PreCompiler sessions. For the morning session, I attended "The Ruby Koans, Learning Ruby One Test at a Time with Joe O'Brien and Jim Weirich" which taught Ruby syntax and how to write tests in Ruby. (Joe also gave an excellent and extremely popular talk called: "Refactoring the Programmer"
The word "koan" comes from Zen Buddhism. As I understand it, Jim and Joe called their talk "Ruby Koans" because of their unique style of teaching that relies as much on mystery and intuition as it does on rational thinking. - Macs: OS X comes preloaded on Macs so you are ready to go. The file README.rdoc is a text file that explains the concept, tells how to get started, and gives contact information. To set up for the exercise: unzip the koans, open a command-prompt, and cd to the directory containing the koans. The exercise starts at the most simple level possible, but if you complete the koans, you will learn most of the Ruby syntax and see examples of how Ruby behaves at edge cases. The line " is not true." gives a hint as to why the test failed. The line after the "Please meditate..." line tells what line of code the test failed on. test_assert_truth has expanded your awareness. test_assert_with_message has damaged your karma. This should be true -- Please fix this. assert false, "This should be true -- Please fix this"
and we see where the "This should be true..." message comes from. Joe has now shown us what an assertion with an error message looks like. Again change false to true, rerun the ruby command and you'll see the next failing test. The koans go on to present illustrations of control statements, hashes, scope, strings, arrays, inheritance, iteration and others language details. I don't think anyone at the PreCompiler finished all the exercises during that session - I sure didn't - but it's clear that I will know a lot about Ruby syntax when I do. I just got back from a great experience at CodeMash 2010. This was my first CodeMash, and it will certainly not be my last. If you're a software developer and you've never gone to a CodeMash, I can't recommend it enough. (If you're a developer and you've already gone, I don't have to say anything because I know you'll be going back.) Besides all the technical goodness, there was lots of fun! "... that will educate developers on current practices, methodologies and technology trends in variety of platforms and development languages such as Java, .NET, Ruby and PHP. Held [in] January, at the lush Kalahari Resort in Sandusky, Ohio, attendees will be able to attend a world-class technical conference amid Ohio's largest indoor waterpark. There were also sessions on career development, TDD/BDD, Agile/Lean/Kanban methodologies, dynamic languages like F# and Scheme, development for mobile platforms like iPhone and Android, and too many more for me to list here. See the session list for more, and for detailed writeups and presenter bios. This year, there were three keynote addresses and loads of software-development-related sponsors, the likes of Microsoft, Amazon, Compuware, RedGate, and ComponentOne gave talks, demonstrations, held raffles and gave away lots of swag. But some of the most valuable experiences come from talking with other developers in the hallways, between sessions, at open space meetings organized by participants based on their interests, in the Coding Dojo room, and at the cocktail party. I mentioned that CodeMash is two or optionally three days. They call the optional third day events, held the day before the official conference opens, the PreCompiler. The PreCompiler Sessions are 4 hour, hands-on, interactive labs. That's not to say that if you only attend the main conference you won't have a chance to sit down at a machine and try somethings out, but interactive sessions at the main conference are shorter (only about an hour) and tended to be less in-depth. I attended 2 PreCompiler sessions, "The Ruby Koans, Learning Ruby One Test at a Time with Joe O'Brien and Jim Weirich" and "Practical T/BDD - Half Day Hands-on Lab with Phil Japikse"
I'll tell about these in subsequent blog posts. I'm a big fan of CodeRetreat. Besides being a fun day, it's a great way to practice agile things like: pair programming, supportive environment, software craftsmanship, TDD, retrospectives, courage, and so on. I think they are great events for both aspiring Agilists and experienced Agilists. I read Jeremy Anderson's blog post about an upcoming CodeRetreat in Grand Rapids. I was all set to go when I read that it will be held in Ruby, and since I haven't used Ruby, I was discouraged. As much as I'd like to try it, I'm not sure how much time I'll have in my schedule before then. Then I found TryRuby. It offers an interactive Ruby prompt and a follow-along tutorial, right in your browser! And there's another tutorial I found, Ruby in Twenty Minutes . So I guess I'll have to revisit the sessions I planned to attend this week at CodeMash 2010 and see if there are beginner Ruby sessions. Perhaps, between them and some extra work during downtime, I'll pick up enough Ruby to feel comfortable attending the Grand Rapids Code Mash next month.